We are a New York based company that specializes in various IT solutions. We offer a wide range of web technology services that includes digital marking solutions like PPC, search engine optimization, and reputation management, web development, web designing, mobile development, and much more. 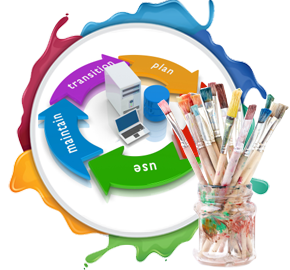 At Soft System Solution, we aim to provide wholesome web based solutions to promote our client’ brand identity and online reputation. We believe in incorporating skills of our knowledgeable team in the most productive manner, while complying with the latest web technology standards and trends.